With the clock striking the midnight hour on 14-15th August, 1947, India was 'to awake to freedom. As we celebrate the 15th of August, our thoughts should focus on independence. It is a day to say thank you to the Founding Fathers for their courage and wisdom to create the foundation for the greatest country on earth, India. Prior to 1947 Inda was not much like it is today. We had rulers, empires and dictators. People were controlled and told what they could and couldn't do. Fortunately, crusaders like Mahatma Gandhi, Jawaharlal Nehru, Sardar Vallabhai Patel, Subhas Chandra Bose, Moulana Abdul Kalam Azad, Tanguturi Prakasam, C. Rajagopalachari and many others. who immolated their lives didn't like being controlled, they believed in liberty and freedom. They were individuals who were willing to lead and fight for freedom. They set the foundation that has guided us for the past 69 years. The foundation we call the Declaration of Independence and Constitution. It was these documents that established our heritage, culture, traditions and beliefs. These were the pillars that have made us strong and free. Many youngmen like Bhagat Singh, Chandrasekhar Azad, Alluri Seetharama Raju and Katta Bomman scarified their lives for the cause of freedom. 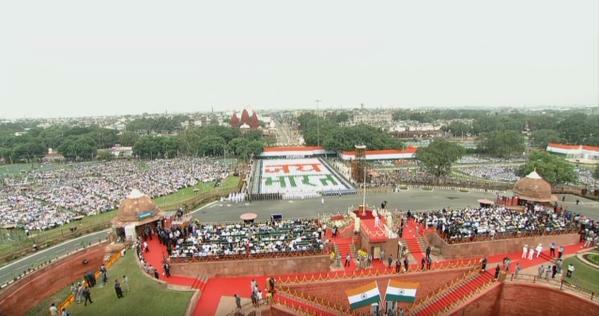 It was an occasion of jubilation for the entire nation. 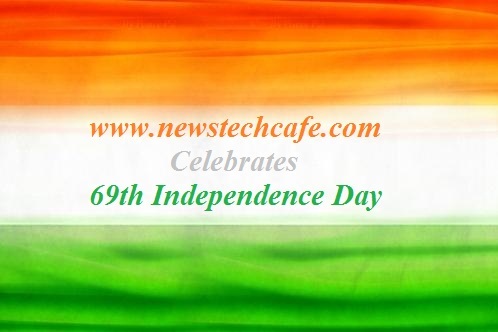 On 15th of August, 1947 people throughout the country celebrated the day in a festive fervor. Throughout the country, houses, offices, streets, temples and all important places were decorated and illuminated. Patriotic songs were on the air throughout the day. Young and old danced in the streets, enjoying the newly won freedom. Sweets were distributed everywhere. We were no longer British subjects but we became free citizens of free India. We would like to rephrase the epic speech which was rendered from the ramparts of the Red Fort by our first Prime Minister. Which will be reverberated in the ears Minds and Hearts of all Indians. "Long years ago, we made a tryst with destiny, and now the time comes when we shall redeem our pledge, not wholly or in full measure, but very substantially. 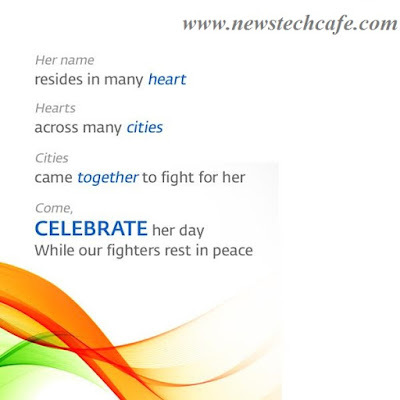 At the stroke of the midnight hour, when the world sleeps, India will awake to life and freedom. A moment comes, which comes but rarely in history, when we step out from the old to the new, when an age ends, and when the soul of a nation, long suppressed, finds utterance. It is fitting that at this solemn moment we take the pledge of dedication to the service of India and her people and to the still larger cause of humanity. At the dawn of history India started on her unending quest, and trackless centuries are filled with her striving and the grandeur of her successes, and her failures. Through good and ill fortune alike she has never lost sight of that quest or forgotten the ideals which gave her strength. We end today a period of ill fortune and India discovers herself again. The achievement we celebrate today is but a step, an opening of opportunity, to the greater triumphs and achievements that await us. Are we brave enough and wise enough to grasp this opportunity and accept the challenge of the future ? Freedom and power bring responsibility. The responsibility rests upon this Assembly, a sovereign body representing the sovereign people of India. Before the birth of freedom, we have endured all the pains of labour and our hearts are heavy with the memory of this sorrow. Some of those pains continue even now. Nevertheless, the past is over and it is the future that beckons to us now. That future is not one of ease or resting but of incessant striving so that we might fulfil the pledges we have so often taken and the One we shall take today. The service of lndia means the service of the millions who suffer. It means the ending of poverty and ignorance and disease and inequality of opportunity. The ambition of the greatest man of our generation has been to wipe every tear from every eye. That may be beyond us but as long as there are tears and suffering, so long our work will not be over. And so we have to labour and to work and work hard to give reality to our dreams. Those dreams are for India, but they are also for the world, for all the nations and peoples are too closely knit together today for anyone of them to imagine that it can live apart. Peace has been said to be indivisible; so is freedom, so is prosperity now, and so also is disaster in this one world that can no longer be split into isolated fragments. To the people of India, whose representatives we are, we appeal to join us' with faith and confidence in this great adventure. This is no time for petty and destructive criticism, no time for ill-will or blaming others. We have to build the noble mansion of free India where all her children may dwell." To retain our freedoms, we must fight to keep our Constitution and to live by the principles established by the Founding Fathers. We cannot allow the proponents of change to win. Freedom is our birthright and we must preserve it. Government has its place, but it must not stray from the guiding principles of the Constitution and the examples set forth by the Founding Fathers. It is on the Fifteenth of August that we pay homage to the Founding Fathers, it is the day we honor and pay tribute to the brave men and women who have fought and died to maintain these freedoms. It is the day we praise the legacy that was bequeathed to us. We cannot and must not falter in following the path established by these brave men and women. The path is clear; the tools were put in place. We must not waver. We must continue to live by these principles. On this 15th of August, let us continue this work and pray to God for everlasting Freedom and Independence.